IMO, the probable “roots of the Inquisition” are older than Augustine. Hope you can find the time to read Ramsey MacMullen’s Voting About God, which I reference and link to in THIS THREAD. I hope some actual analysis of all of this is coming. Long quotes from secondary sources can be informative, but unless some engagement with primary texts eventually arrives, one cannot be sure the secondary is properly representing the matter. And unless some reflective questions about one's own purposes in producing such quotes and about one's own preconceptions relative to the information presented in the quotes are asked, the whole thing runs the risk of being just another one-sided diatribe. That's something that simply isn't tolerated when "Romanists" do it with the Fathers, so it shouldn't be a staple of our side of things. Long quotations from secondary sources don't add to the secondary sources. What they may do, however, is bring the secondary source and its analysis (if it has any) to the attention of readers who have not seen it. I'm not a fan of secondary sources, but I acknowledge that there are right and wrong ways to use them. Hi TF -- thanks for your comments. We have talked briefly about secondary sources. The thing that I hope to bring here is something that I've found to be particularly helpful, especially when discussing theologians, and that is, context. It's one thing to put out quotes from someone like Ambrosiaster or Cyril of Jerusalem or Cyril of Alexandria. But it's another thing to know the context in which they lived, or the situations they addressed. I've found history to be a useful framework on which to hang the work of the theologians. Tim, I know that you have been reading this and commenting on this, and I appreciate it. You and I are in the same boat, not having read broadly in Augustine's anti-Donatist writings. Maybe that will come down the line. But part of my reason for putting this all together is just simply to "tell the story." I'm happy that I have prompted questions. What percentage of the readers here -- or anywhere -- do you think have read about this particular facet of the history of the church? I've audited two separate "church history" courses, made available by two different institutions, and I didn't come across this subject matter. David Waltz -- I know that Johnson's work is not the most recent, and that it's more of a popular than a scholarly treatment, and that yields, as you say, "limitations." I've commented on Johnson's works elsewhere. His "History of the American People" and "Modern Times" were extraordinarily well done. He is honest with the sources. I think it's possible to do much worse than what Johnson has done. I looked briefly at the MacMullen work -- it looks like the kind of thing I'd be interested in, although it's not my most pressing interest at the time. (I find it maddening when Google Books leaves out large chunks the way it does). Back to the topic of "primary sources" -- I think MacMullen makes an important point when he says, "Where so much depended on written words, naturally they were often falsified. Much forgery went on, both of the documents to be adduced in the flow of conciliar arguments and in the production of the written sources themselves" (107). Currently I'm sifting through the forgeries and pseudepigrapha that have sprung up around the topic of Peter and the papacy. Steve Hays is correct when he says that even primary sources can largely become secondary sources, once the textual editing process has been applied and the forgeries sifted out. Sometimes just getting to know who to trust is a huge part of the effort. Me: I concur with your assessment that “it’s possible to do much worse than what Johnson has done.” Though Johnson was a journalist by profession and not a trained historian, I am not aware of any critical reviews that take issue with the honesty of his tome. Thanks David. It actually looks like a book that I might want to buy, although, it's not in the cards right now. I think this is especially important as Protestants try to convey to Catholics what their doctrine of the church is. Roman Catholics want to talk about "the Church that Christ founded" and then tie the person to the office through an act of laying on of hands. But rather, the office of minister is not tied to that perfunctory act in the NT, it's tied to both personal behavior and a teaching of sound doctrine. At a minimum, a "shepherd" should be a Christian. For Roman Catholics, the perfunctory physical succession is what seems to be most important in defining "Church". No matter what a liar someone was, or how violent, so long as that person could function as a "placeholder" in the "unbroken succession," that's all that matters. Whether or not he could be counted among the elect. The "shepherd" could be a wolf. But for those who are members of the true "one true church" (all the elect throughout time), leadership is at a minimum dependent on having a Christian in that position. And from what MacMullen is saying, there evidently were lots of wolves "voting on God" at various times, and in various places. Although Johnson has addressed a broad spectrum of topics, works concerning history and religion dominate his oeuvre. Even while surveying religion, Johnson writes from the perspective of a historian with a strong and highly developed narrative voice. This is evident in A History of Christianity, which relates the story of the public church vis-à-vis the intellectual and political history of Western Europe. In "the best one-volume history of Christianity ever done," according to The Christian Century, Johnson takes off in the year 49 with his namesake the apostle Paul. Thus beginning an ambitious quest to paint the centuries since the founding of a little-known "Jesus Sect", A History of Christianity explores to a great degree the evolution of the Western world. But is also describes Johnson's or thye reviewer's interpretation of Gal. 2, which shows a liberal eisegesis. In short, the leaders desire to Paul to remember the poor was not a bargain in which the pillars agreed to stand firm against the Judaizers in return for financial support for the Jerusalem Church by Paul's people. How willingly the Bible is made rendered into one's own liking. Johnson's beginning is revealing, with the consultation of 49 in Jerusalem, described as "the first great turning point in the history of Christianity." He significantly does not even attempt a definition of the teaching of Jesus,.. The classical representative of pessimist Christianity, however, is not Tertullian, but Augustine, "the dark genius of imperial Christianity, the ideologue of the Church-State alliance, and the fabricator of the medieval mentality . .
Granted Johnson's definition of the theme and angle of vision, this is a consistently interesting and instructive telling of the story with a pardonable ratio of clear errors. It is stronger on institutional manifestations, such as persecutions, crusades, inquisitions, witchhunting, church finances, missions, and imperialism than on intellectual and theological developments, stronger on popes and emperors than on saints and prophets and simple believers. Finaly, Amazon has many a summary and analysis, one review being from History of Christianity (again, these are only excerpts). *What caused discontent with the Church's misconduct to boil over into the Reformation? Johnson points out that the printing press and increased links to the Mediterranean gave European scholars the opportunity to study the Bible in its original languagues (Hebrew and Greek), as well as to encounter Greek philosophical works that had been lost during the Dark Ages. In addition, murder in the guise of heretic-hunting may have discredited the Church. *Why is the Roman Catholic Church so centralized? Why didn't it become decentralized like Judaism? In the early days of Christianity, the bishop of Rome was apparently just another bishop. The body of St. Peter was buried in Rome, so the relic cult enhanced the prestige of Rome. And in the past few centuries, the growth of mass media and the decline of monarchy (and thus of state influence over Catholicism in France, Spain etc.) meant that popes could go over the heads of bishops and communicate with the masses. My own unprofessional take on the aspect of Christianity arising out of many competing sects, is that rather than this impugning upon its Divine origins, it is evidence for it, as it arose in victory over competition. The comment on Christianity versus paganism and against Islam has some merit, but the reason given for the former's victory over paganism applies to a degree to Islam's success over it, and the reason why is that the devil built Islam by using important and stories and doctrines from the Bible, making it superior to pagainsm, while denying its critical salvific aspects. But while Christianity is superior morally and in other aspects, what he seems to miss or marginalize is that in addition to such, what the Biblical Christian faith most primarily and uniquely offers is a supernatural relationship with the almighty Creator, faith in which results in the realization of things in heart and life which correspond to its claims, and are not naturally explained when all is said and done. The thousands of hymns (blind Fanny Crosby's wrote 4,000 hymns alone) describing this relationship is only one aspect of that testimony. N.T. church of the truth was stipulated to be "the church of the living God." And if the faith the church preaches does not result in its Biblically dramatic transformative effects then it cannot claim to be such, and i need to better manifest that faith myself. Hi PBJ, thanks for taking a look at this series and for commenting on it. As Tim Enloe noted in the second comment here, it would have been best for me to have really interacted with what Johnson was saying using some other sources. I made a few comments, but really didn't interact with the text much. My real hope was just to provide a long swatch of history and to use it as context for what is my real interest, the Reformation. I still think this period is vitally important to that historical period, so some interaction may be forthcoming. Looking back, I mentioned that I was posting this in response to something that I had heard in a lecture that Carl Trueman gave - over the last few years, I have been listening to seminary courses as I can find them on iTunes, etc. Trueman is a professor of Church History at Westminster (Philadelphia), and I had stumbled across some of his lectures on the history of the medieval church. Initially, I was responding to something I had heard there. In real life I am a professional marketer and I must work very hard to stay afloat these days. I don't imagine too many people are in a different condition. But theology and church history are interests of mine that go way back, and I also hope to continue to sort of "press forwards on all fronts". You may be interested in a work that I've written about (but again, not completely, and not as much as I would have liked): The Heresy of Orthodoxy, by Andreas Kostenberger and Michael Kruger, provides a very thorough response to "the Bauer/Ehrman thesis," that is, as you have described, the thesis that early Christianity arose out of many competing sects. 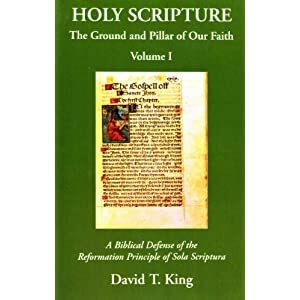 In this work, the authors argue strenuously that not only was there an "early orthodoxy" (that is, an orthodoxy of the Apostolic era), but that that "orthodox faith" was inscripturated in the form of "covenant documents" that became canonized in the New Testament. This is another piece I wish I'd spent more time with, and Lord willing I'll get to it again in the future. But it's a tremendous overview on the history of the earliest church. I am familiar with Johnson and that's why I cited him so heavily. He is of course a Roman Catholic, and in most instances he is reliably conservative. I am aware of his reliance on sources that are slightly liberal, and I'd have to say that he even relies on "the Bauer thesis" (or work that has come out of that), with which I would not really agree. If you've read Johnson's "Modern Times" you will find it's an exceptional history of the 20th century. I've read some of his other works as well ("Intellectuals," for example), and he's got a tremendous grasp of how things work. IMO, there are few things that we can do that will yield the kind of understanding that a study of church history will do. For me, the study of church history is not only a very fulfilling exercise on its own, but it provides an exceptional framework upon which can be fitted the studies in many other areas, from philosophy to literature to economics. Of course, there is a point at which that breaks down, but it's like the guy who said, "reach for the stars; even if you don't get there, you'll have gone a long way." That's how I see all of this fitting together. Thank God for your response. I know this thread was old, but i keep discovering what a worthy resource your blog has become, and feel bad so few seem to be aware of it, and this series in particular is a needed one! "In real life I am a professional marketer and I must work very hard to stay afloat these days." Well, you are doubling as a professor of sorts, and I really appreciate your efforts! I myself am blessed to be part of a very small faith tract ministry, but i must be "in" more, i find myself doing apologetics. If you had a PayPal link i could try to send a little. God willing, perhaps someday you will have a real web site, with tabs for different sections and drop down menus. But i do not do much html myself. not only was there an "early orthodoxy" (that is, an orthodoxy of the Apostolic era), but that that "orthodox faith" was inscripturated in the form of "covenant documents" that became canonized in the New Testament. That needs to be said, and i should have acknowledged that. And the competition actually evidences this, as behind every counterfeit there is a genuine article. Some get one phony bill and want to through the rest away, not discerning the qualities which mark genuine essential faith. is something i have ran into on Wikipedia, which i somethings edit. What one editor extrapolated out of the story of David and Jonathan took some time to temper. And what such do to the Bible robs it of its Divine authority. IMO, there are few things that we can do that will yield the kind of understanding that a study of church history will do. I believe the Lord's hand is in this emphasis, as it is needed as long as kept in perspective. Perhaps at the beginning of the Reformation this historical awareness was a given among its preachers, but i think a side effect of the Great Awakenings (the series by J. Edwin Orr is quite good) reaction to institutionalized religion, and the manifestation of what God was doing now in revivals, was a neglect of the historical roots of the faith. While Rome interprets history as providing formal linkage to the church in Rome, and unduly supposes this confers authenticity, the evangelical movement emphasis is upon a N.T. faith which results in a present reality of manifest regeneration, by which it gains its members. But now overall we have lost some ground in doctrinal and personal purity, due to worldliness, and i also sense that, having historically matured, it is undergoing a type of mid-life crises, and in which it is looking for its roots. And you cannot separate the 1800's from the 300's, though i disagree that the father's necessarily had more light than one may have now, by the grace of God, nor the rabins of the Talmud on the Jewish side. But i think that overall "father" were very pious. And upon the young, which stats show evangelical churches are very low in, there is great ignorance even as regards the awareness of men like Whitefield, Wesley, Spurgeon, Edwards, etc. I myself am not well read, and cannot reals for extended times, but i try, and appreciate the resources on the web such as yours. I know this thread was old, but i keep discovering what a worthy resource your blog has become, and feel bad so few seem to be aware of it, and this series in particular is a needed one! ... God willing, perhaps someday you will have a real web site, with tabs for different sections and drop down menus. Hi PeaceByJesus, I do appreciate your comments here. One of my hopes is to try to put together a more permanent, wiki-type of site dealing with Church History. That would tend to enable articles like this one to have more visibility with folks who might be looking for things from this time period. A blog format is very useful for current events and current discussions, but less favorable, I think, for the presentation of large amounts of material. But still, blogs certainly have their role. There are some good ways to search this blog, too, so please avail yourself of them. you are doubling as a professor of sorts, and I really appreciate your efforts! Well, I'm glad you are benefitting from this, and really, the thing I want to do is to share what I've learned along my own personal journey out of Roman Catholicism. There is so much information available. I'm happy to respond to any particular questions you might have. Feel free to email me any time: johnbugay [at] gmail [dot] com. i think a side effect of the Great Awakenings (the series by J. Edwin Orr is quite good) reaction to institutionalized religion, and the manifestation of what God was doing now in revivals, was a neglect of the historical roots of the faith. I think that you may be right about this, but I would not want to overemphasize it, either. If you are interested in audio series', have you considered itunes.rts.edu? They have some excellent seminary courses available for free. I'm blessed with a very long commute to work right now; and I've been listening to these courses for several years. Really, I'm grateful that you've taken an interest in these subjects, and I'm more than happy to talk with you about whatever comments or questions you might have. edit Wikipedia and a couple other wikis, and they can be useful. which is the result of being convinced by "manifestation of the truth." BTW, i did email you at the address you gave, @gmail.com, but it came back "rejected by the recipient domain." See the home page of the above link for mine.